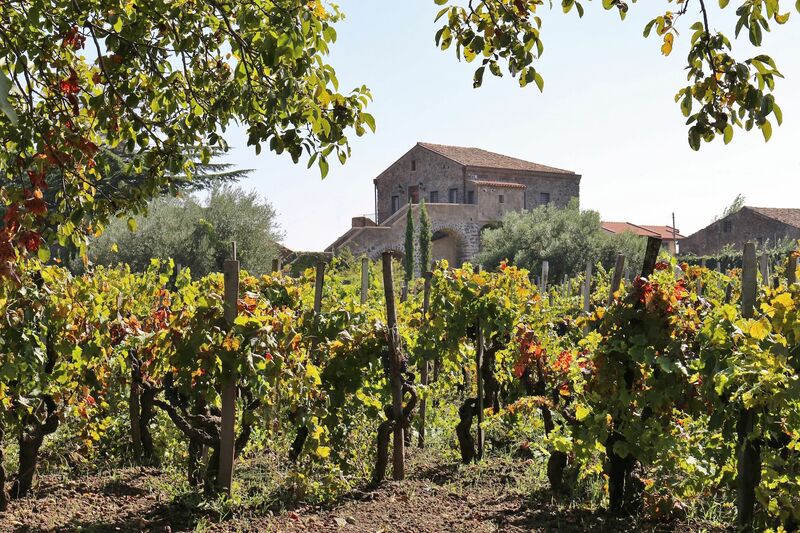 Situated approximately 650 metres above the sea level and at the foot of the volcano, our vineyard is daily bathed in the hot light of Sicily’s sun. 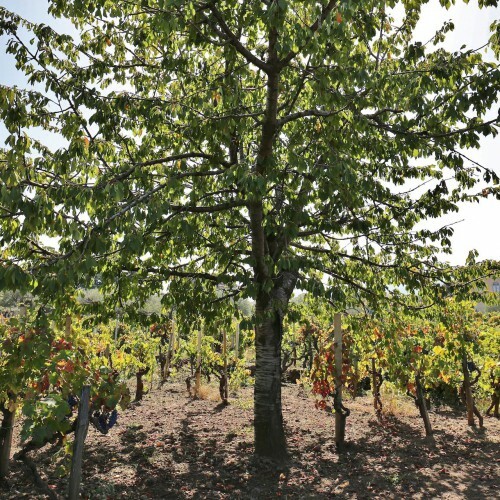 The traditional sapling plantation, with a planting pattern 1:1, allows only the manual workmanship throughout the year, from the pruning to the harvest. 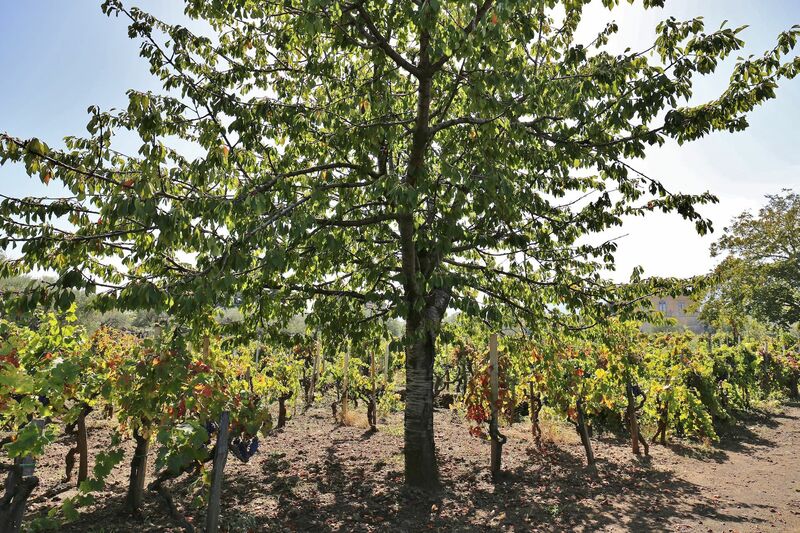 In this way, the environmental impact is minimized and the plantation is interlaced with the territory through the years. 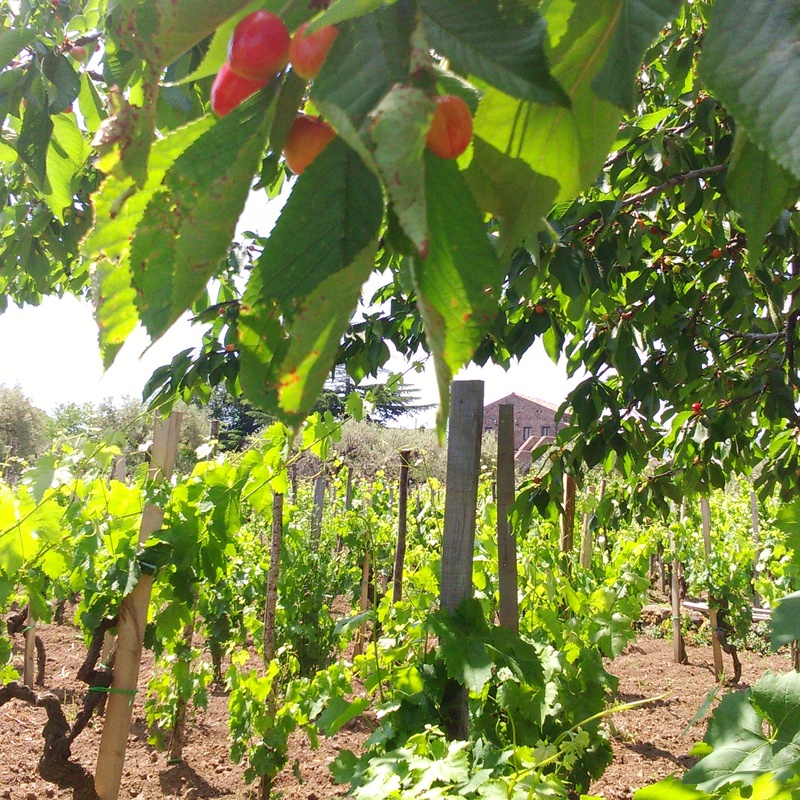 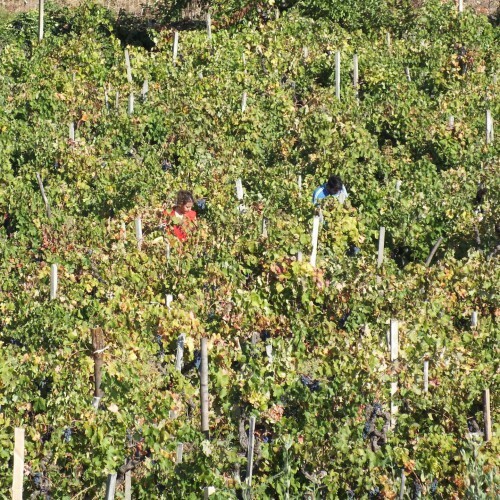 The biggest part of our plantation is composed of indigenous vines of the type ‘Nerello Mascalese’, accompanied by a reduced combination of ‘Nerello Cappuccio’, ‘Carricante’ and ‘Catarratto’, surrounded by fruit and flower trees that tend to dominate in our finished products. 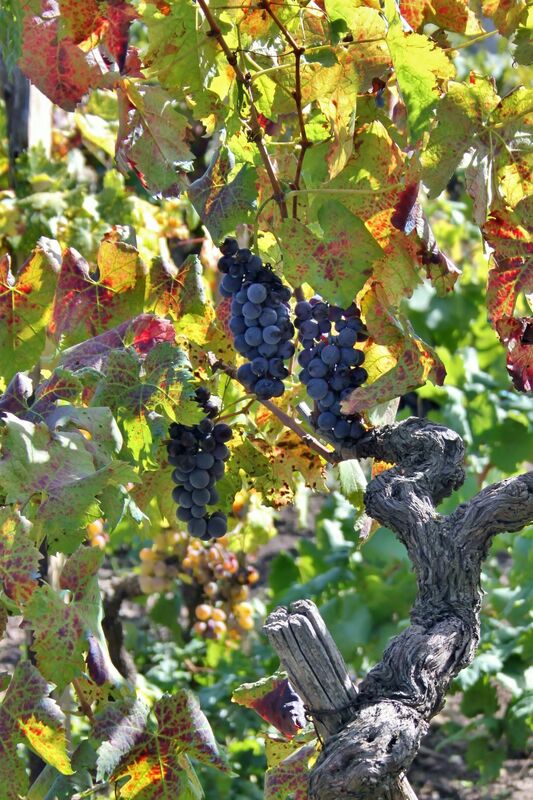 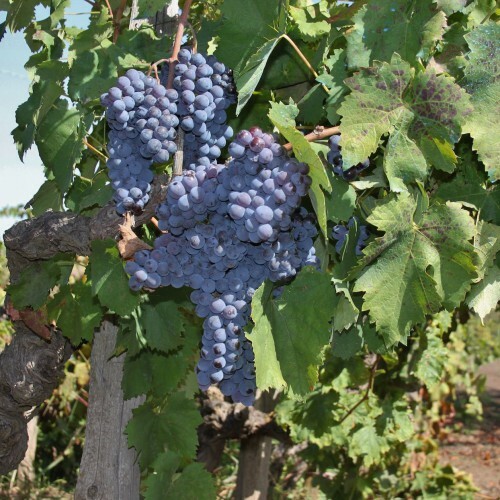 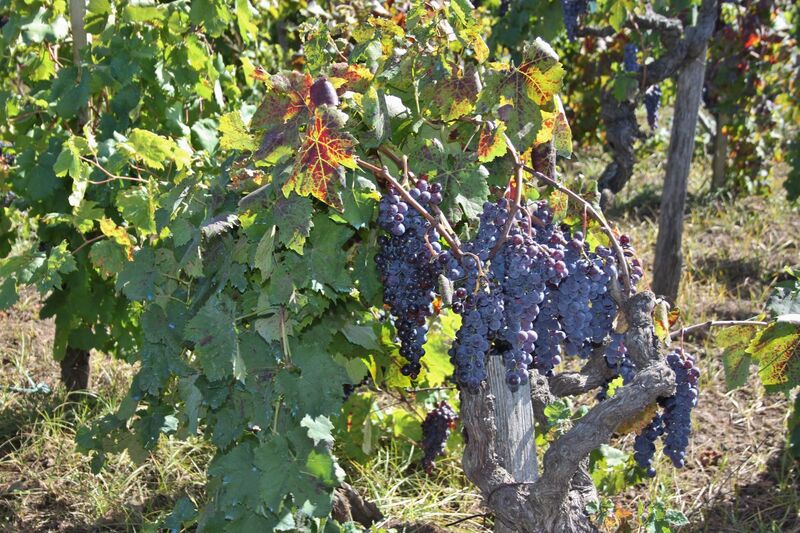 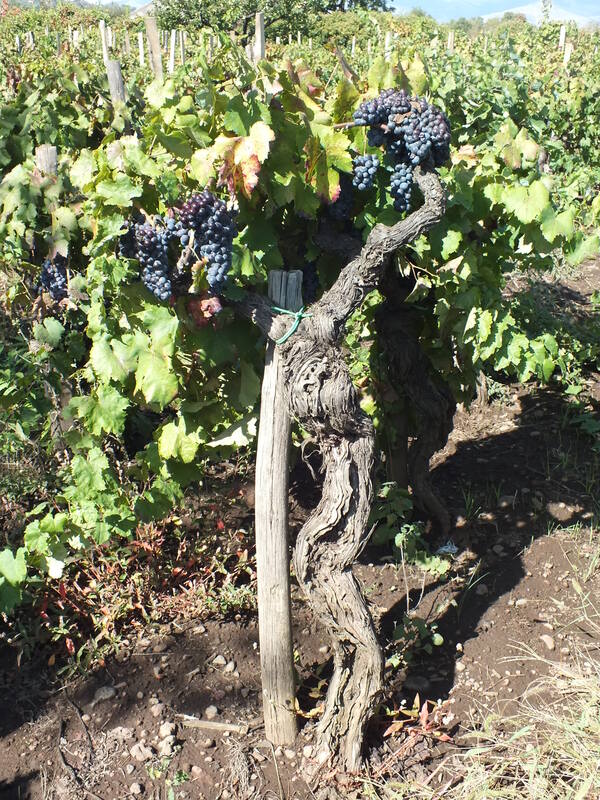 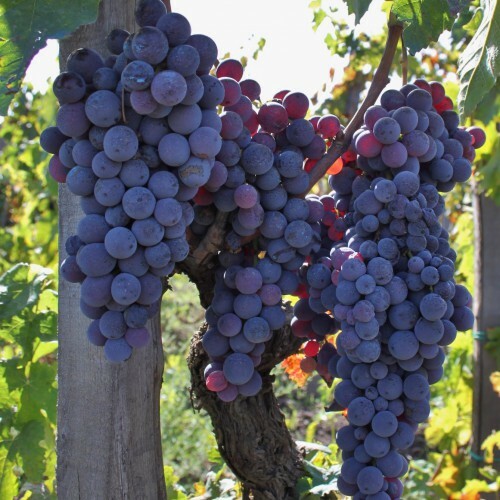 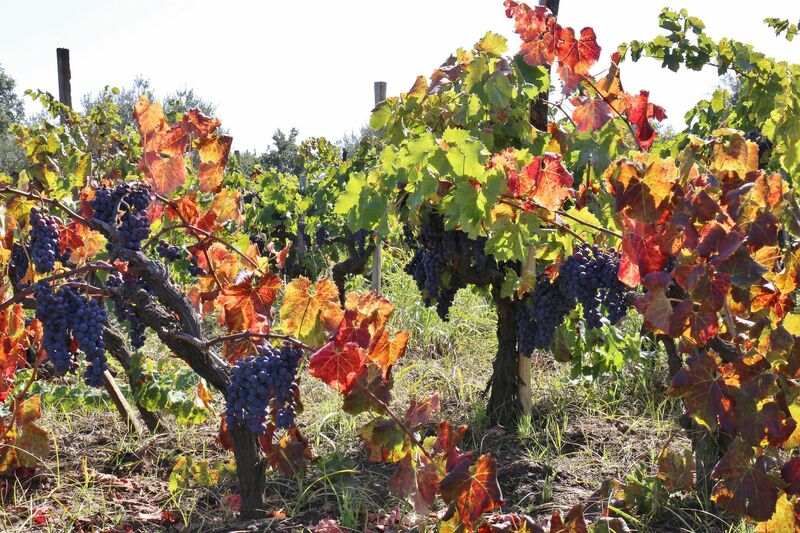 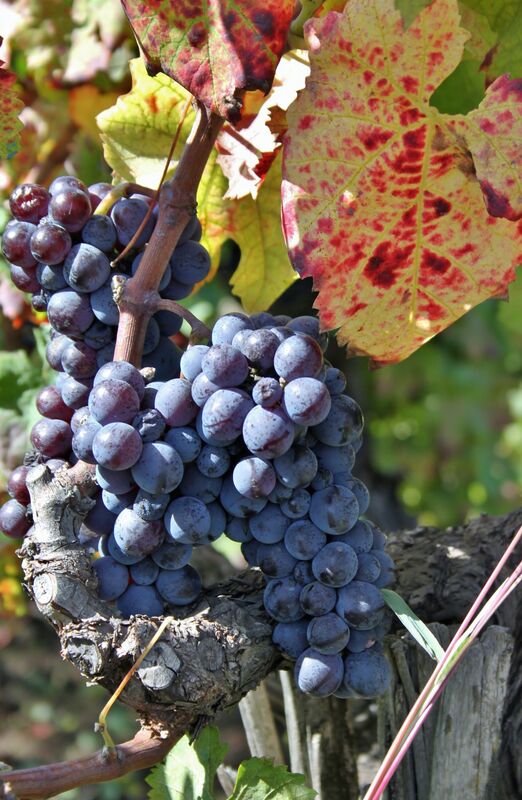 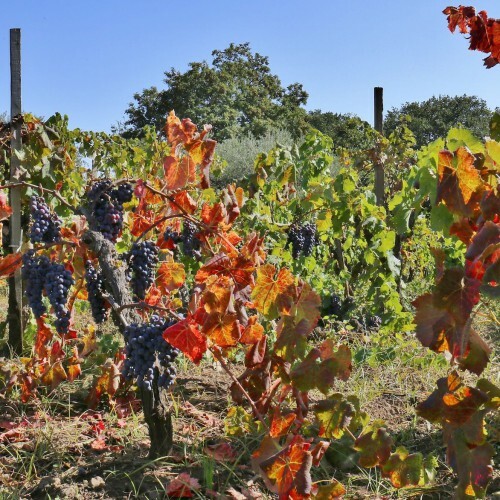 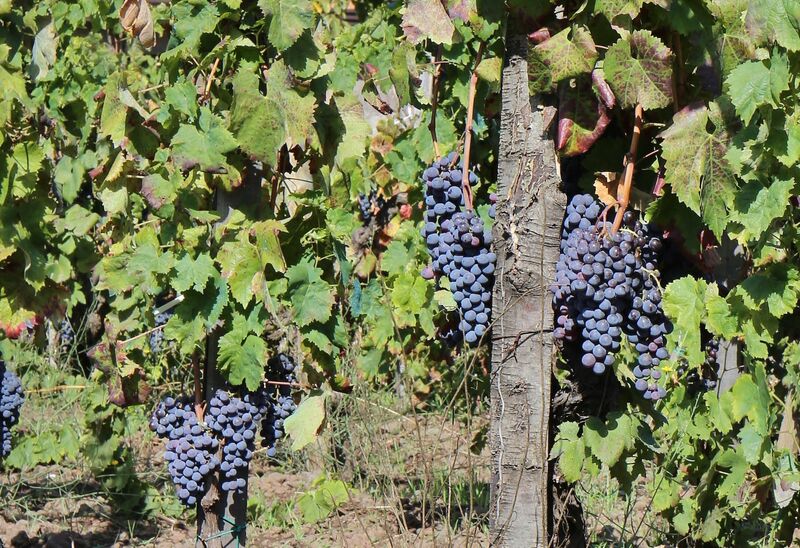 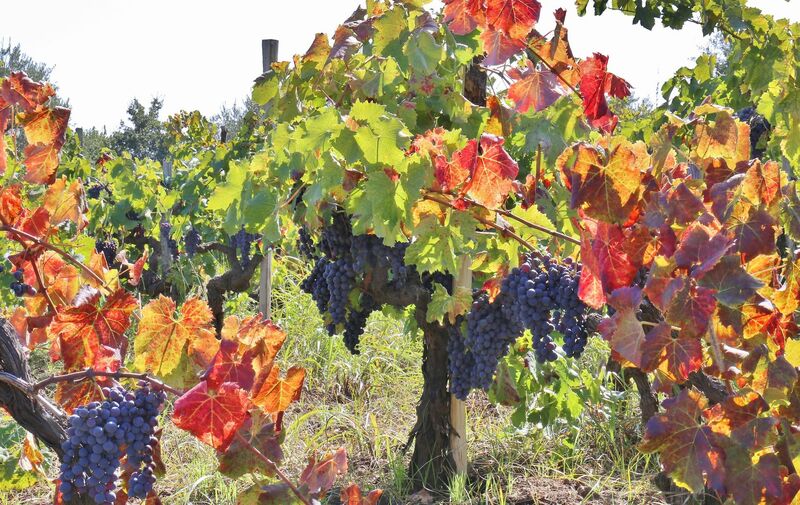 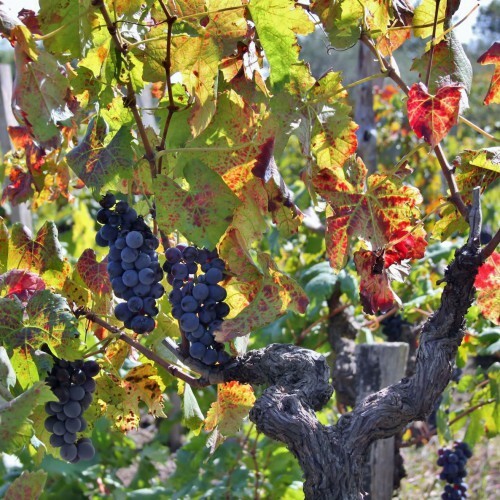 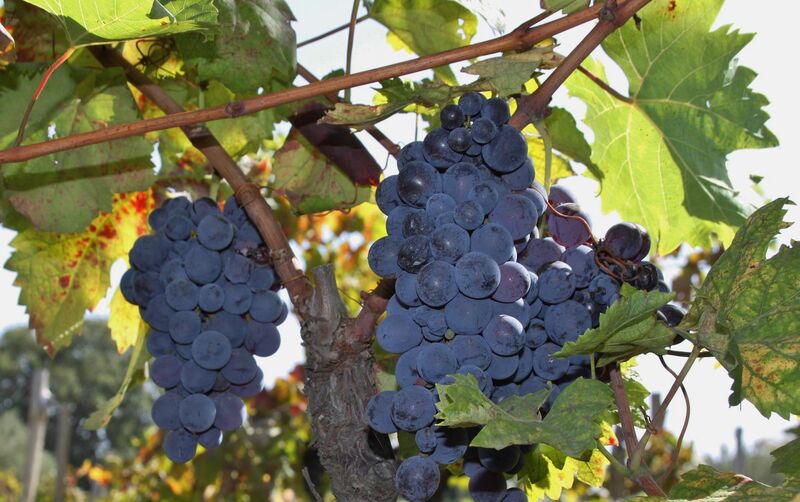 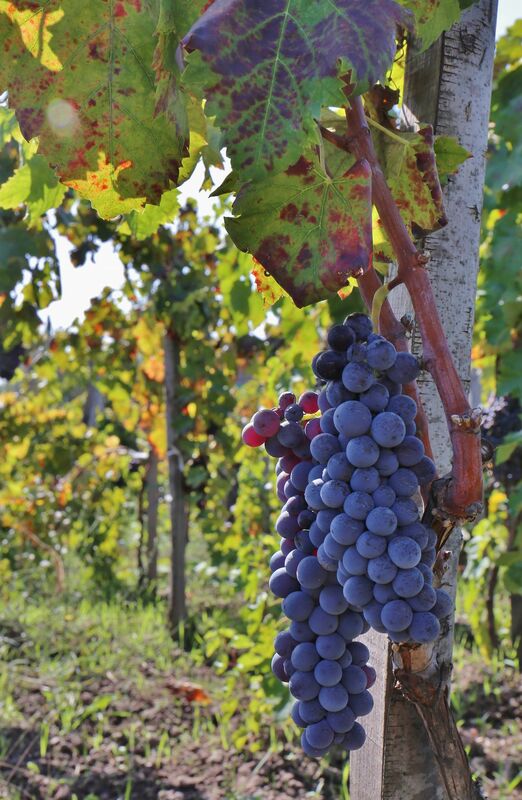 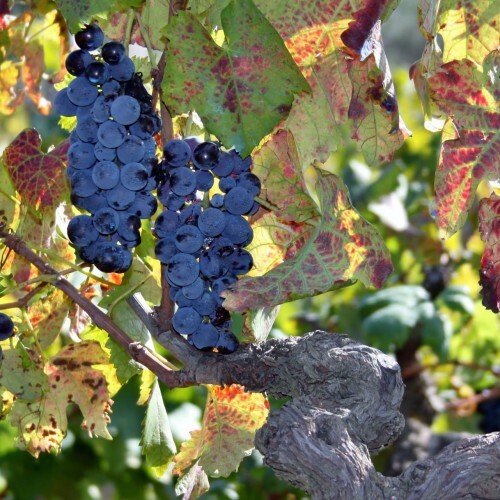 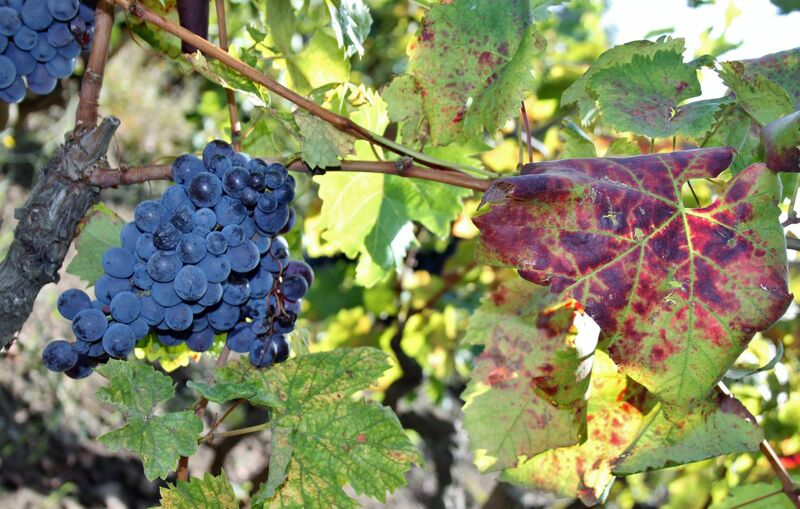 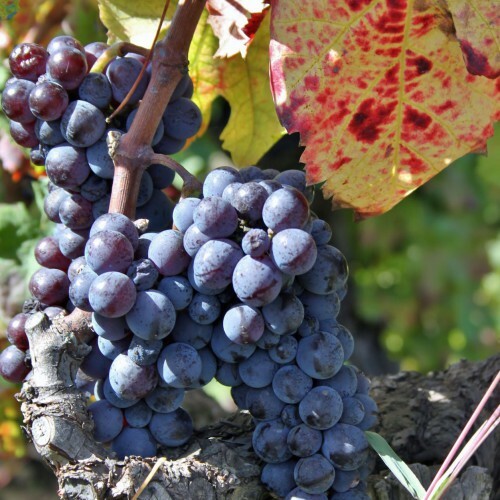 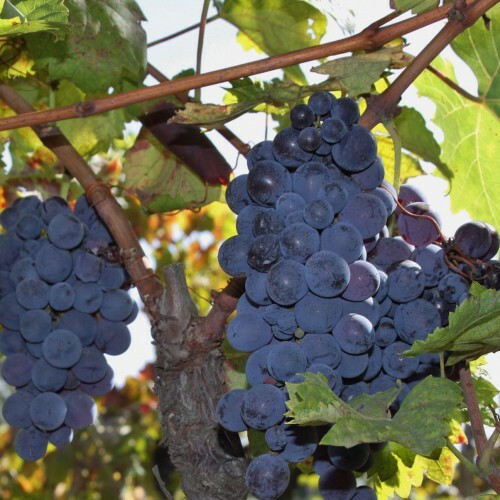 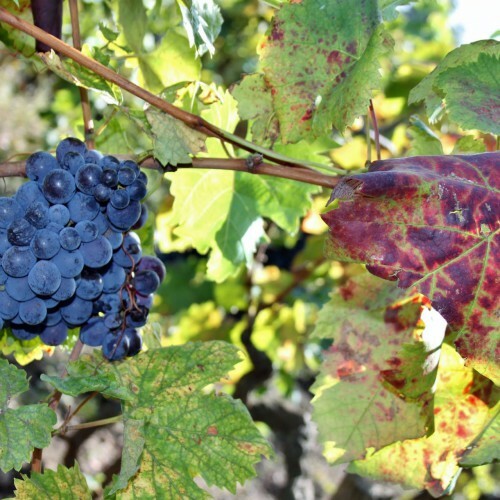 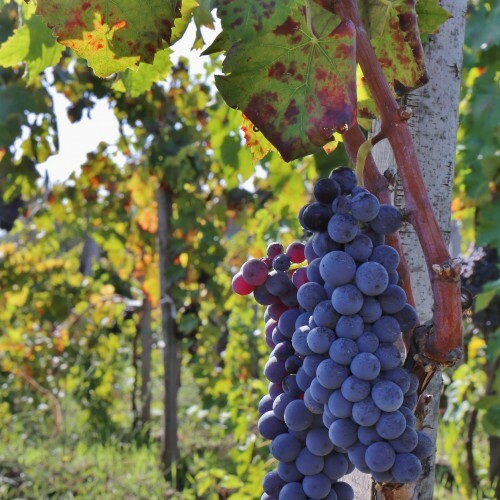 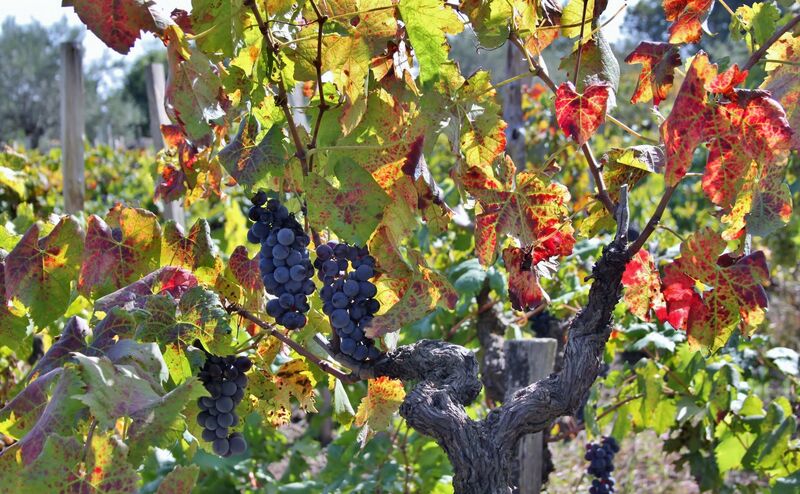 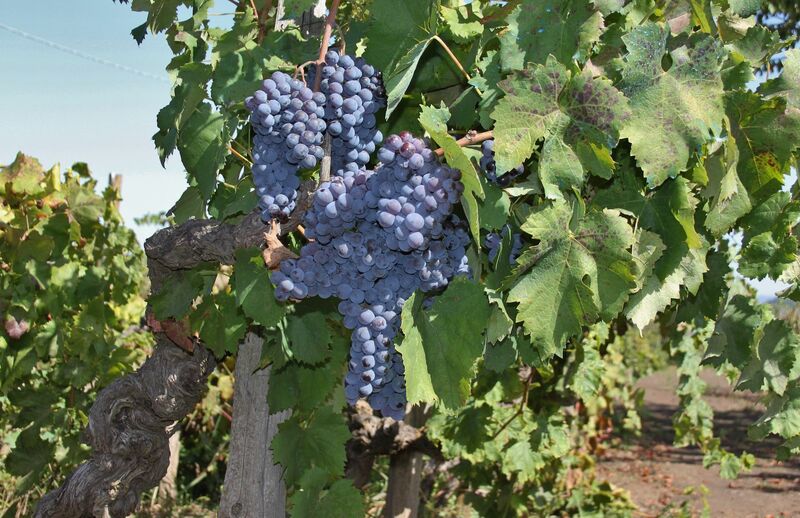 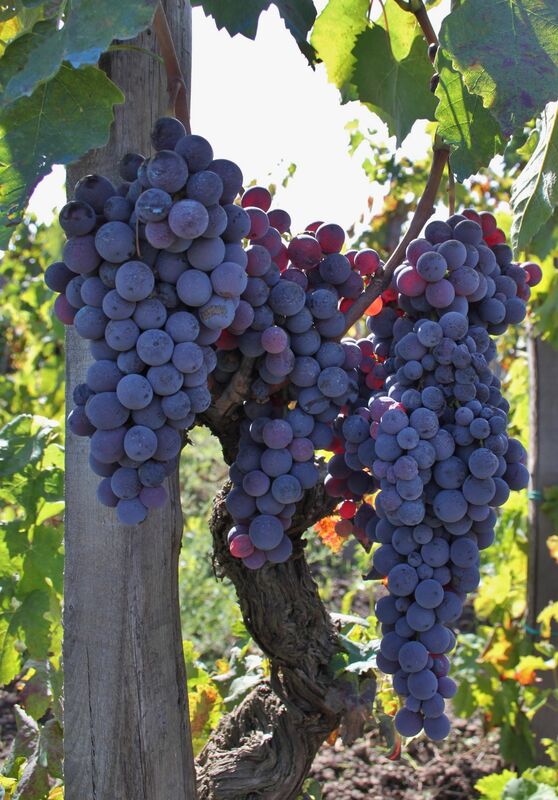 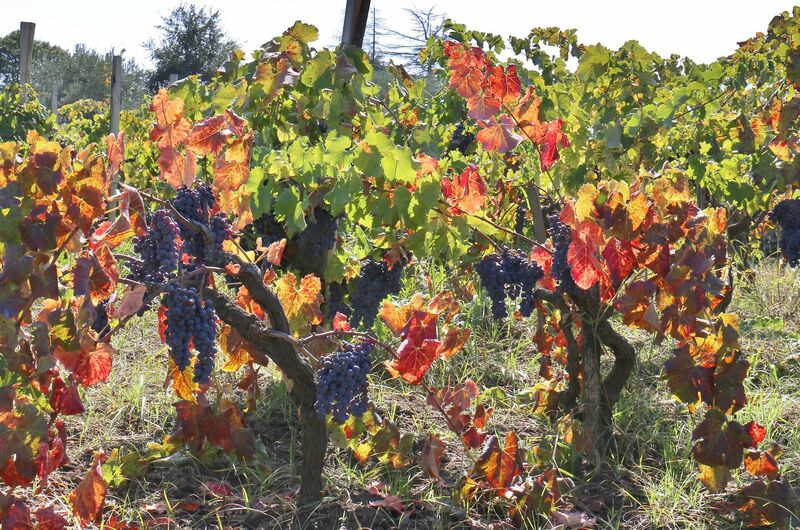 Furthermore, some species such as the ‘Minnella’, the ‘Moscatella of Etna’, the ‘Grecanico’ and the ‘Coda di Volpe’ are alongside of the primary plantations and they form the witnesses of the variety of the Etna Mount in the pre-phylloxera era. 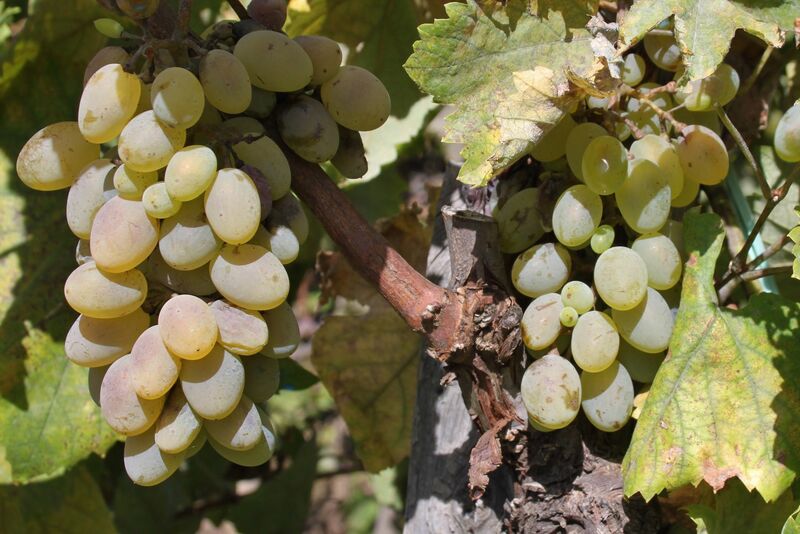 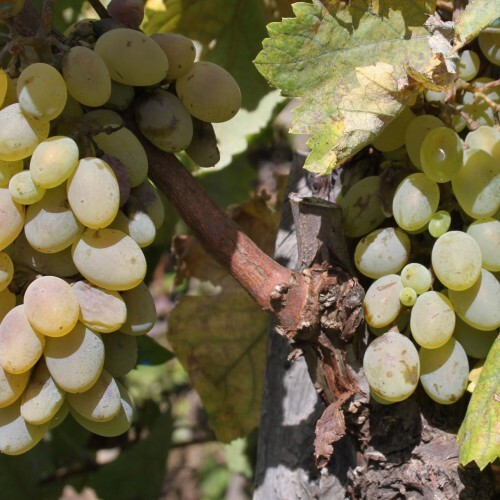 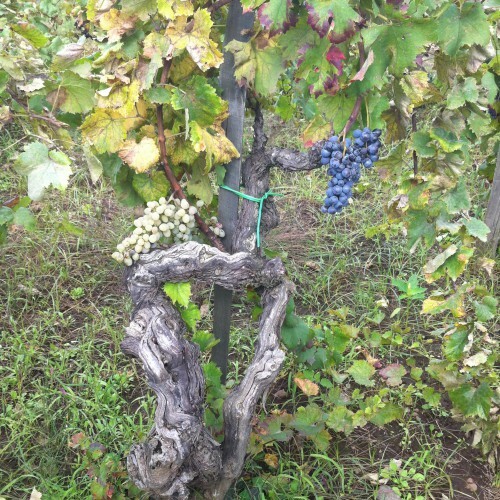 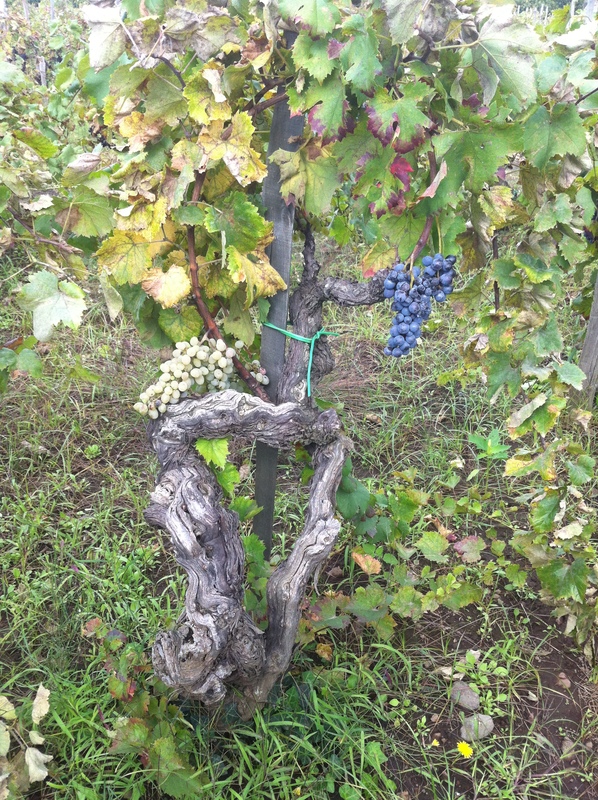 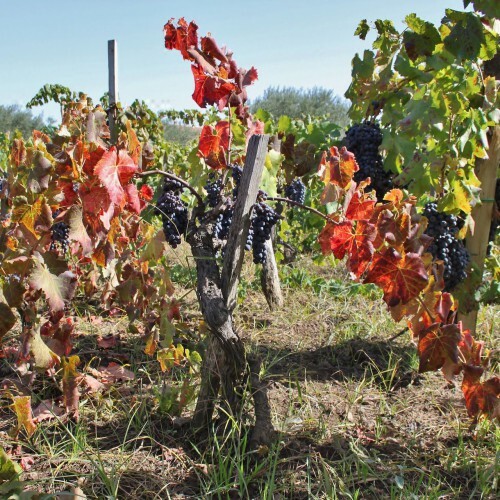 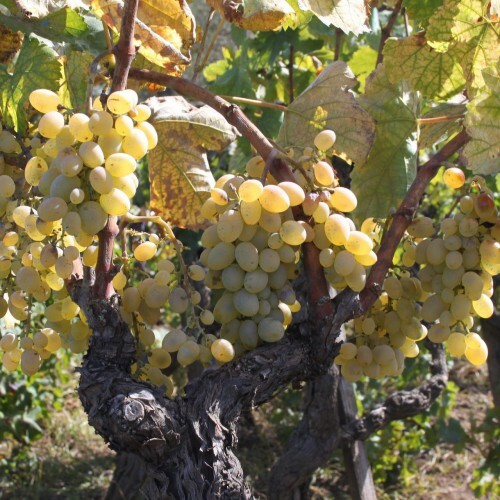 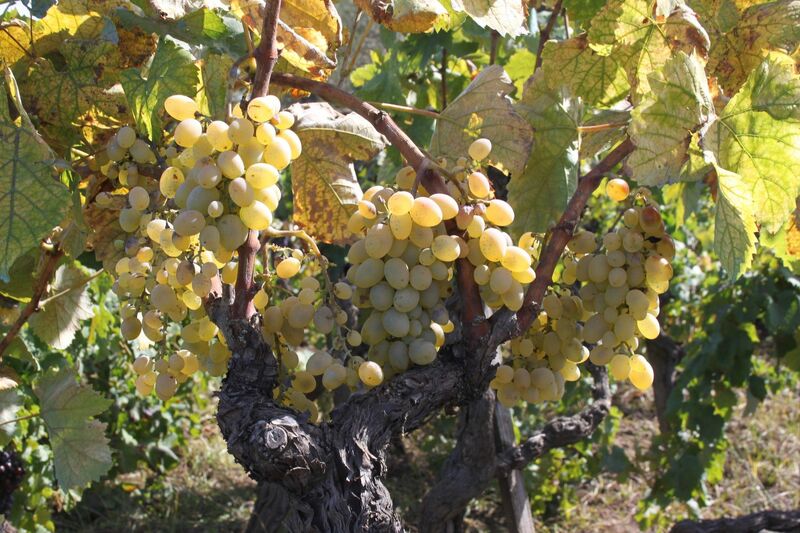 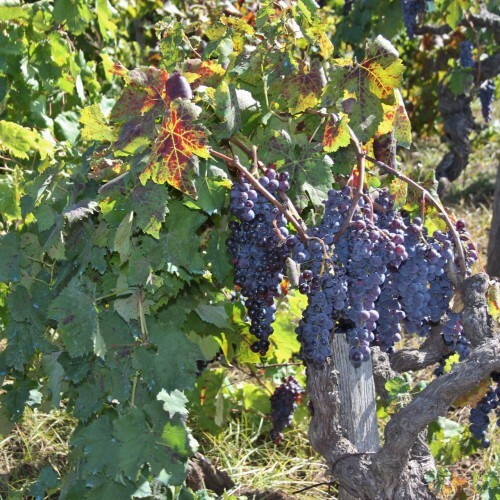 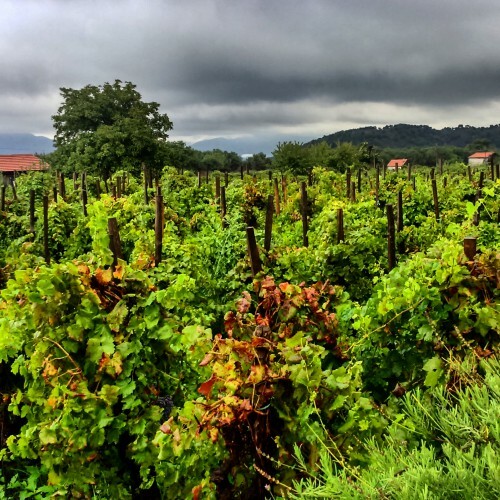 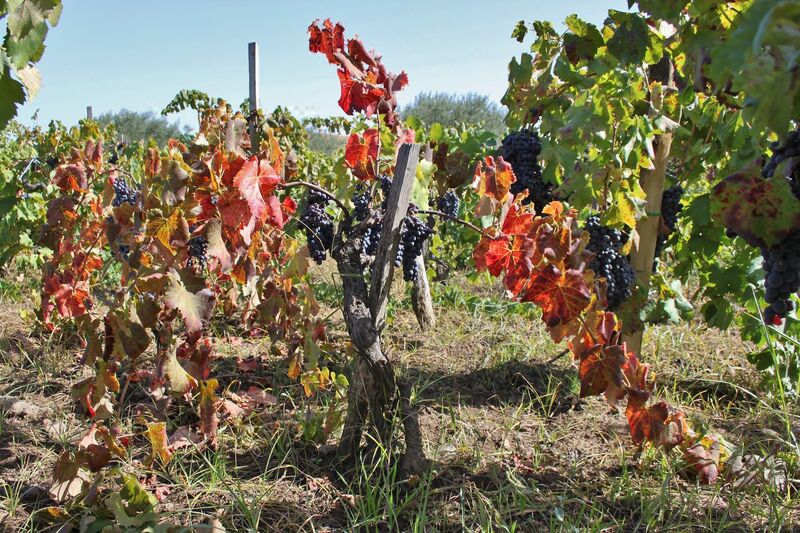 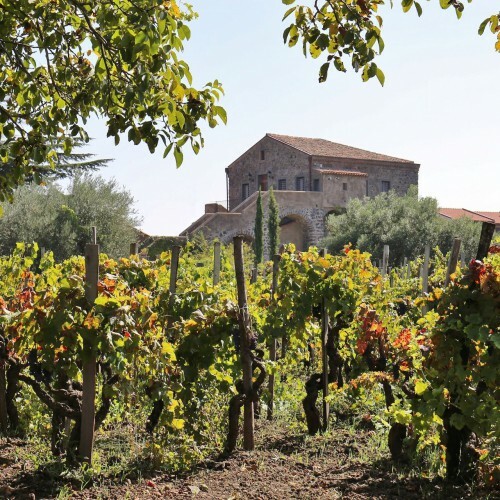 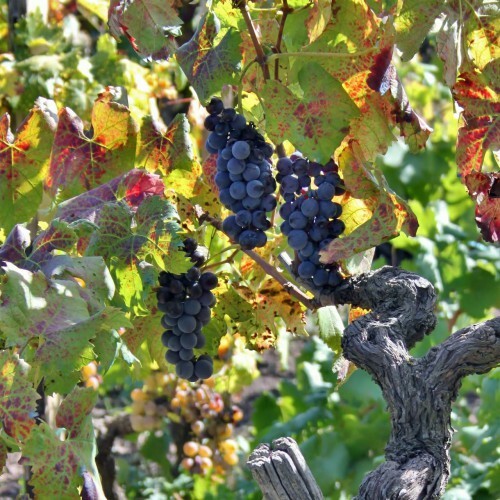 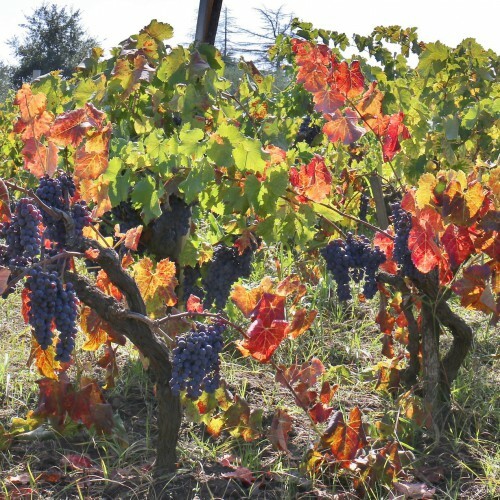 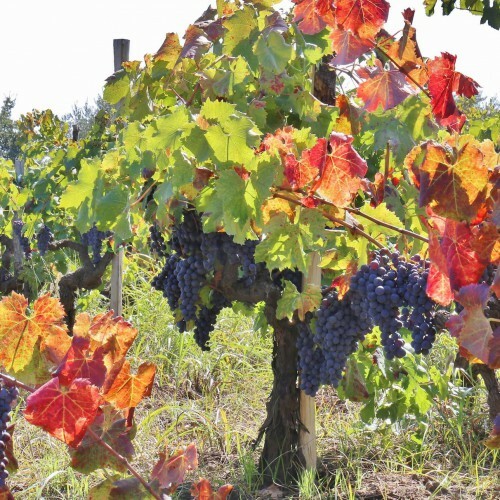 The vines carry an average of 80 production years, but some are present even more than a century and they are capable of offering each time a different year than the previous one. 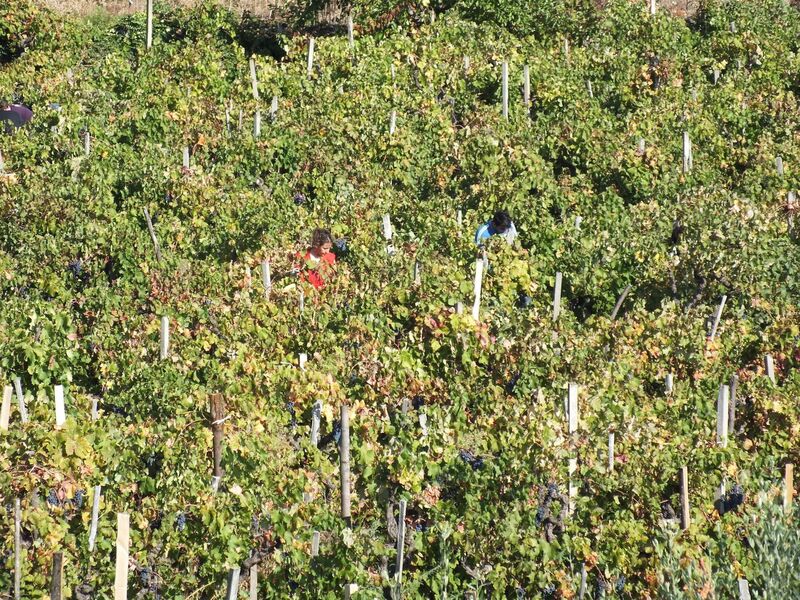 Our work has always been dedicated in exploiting all the potentials of these vines in the light of our experience in producing Etna D.O.C. 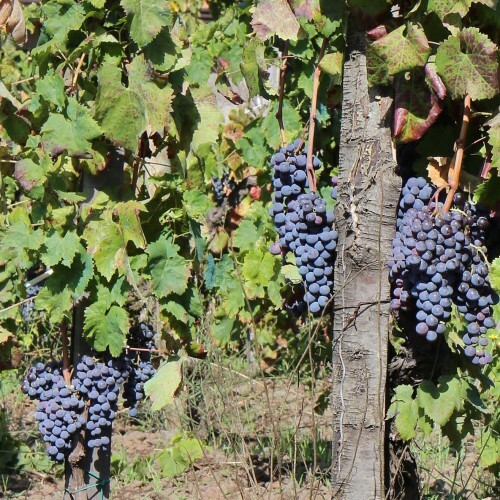 wines. 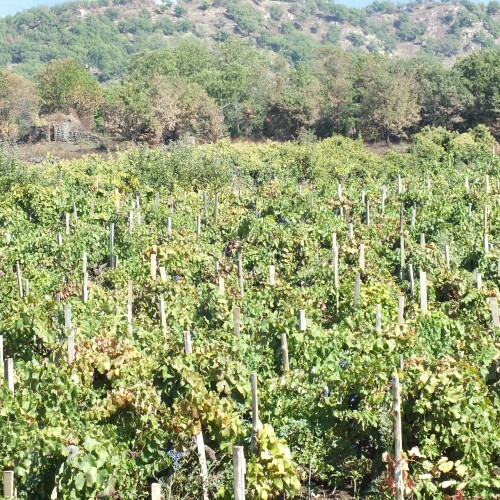 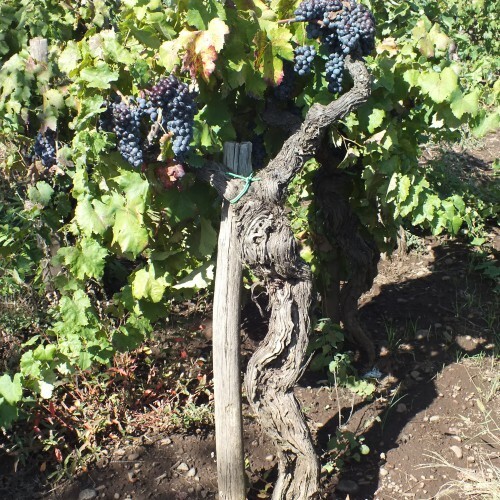 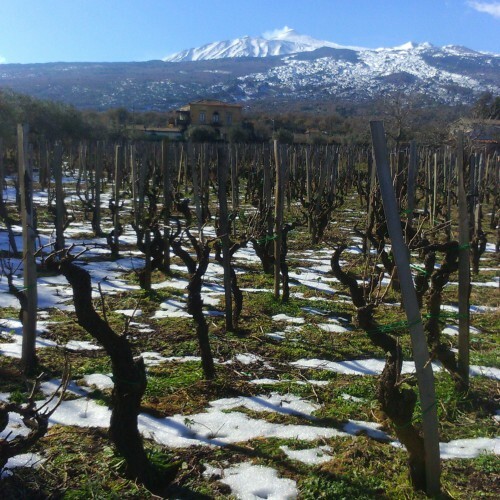 The Etna Mount territory has protected its vineyards for centuries. 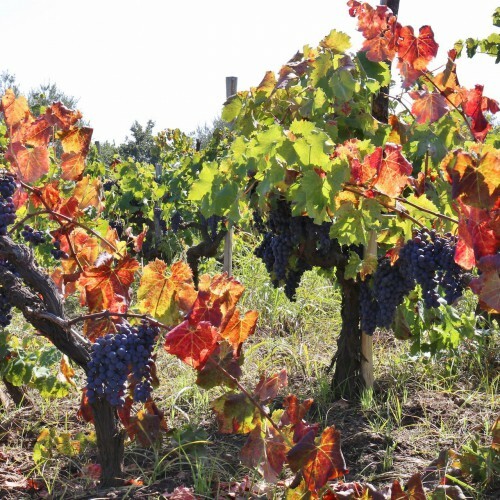 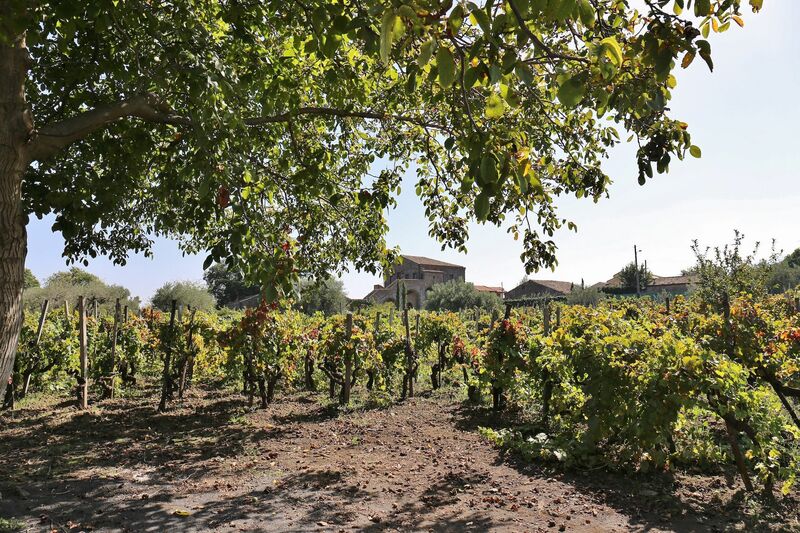 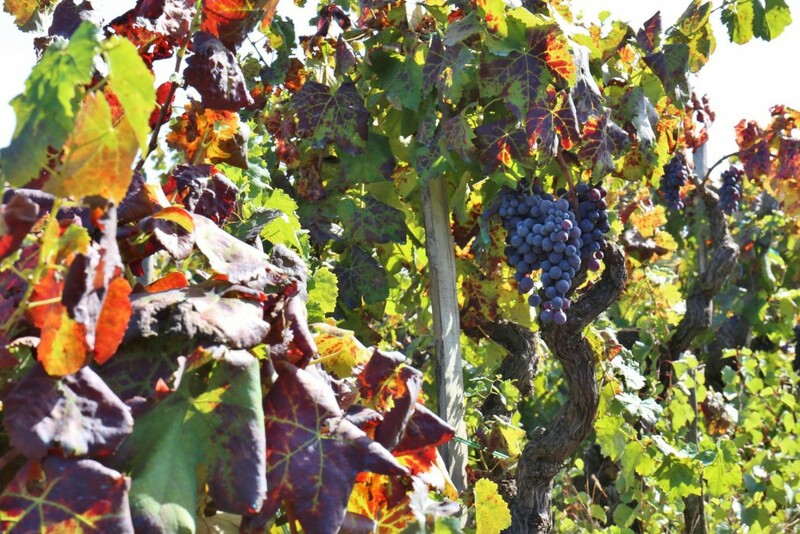 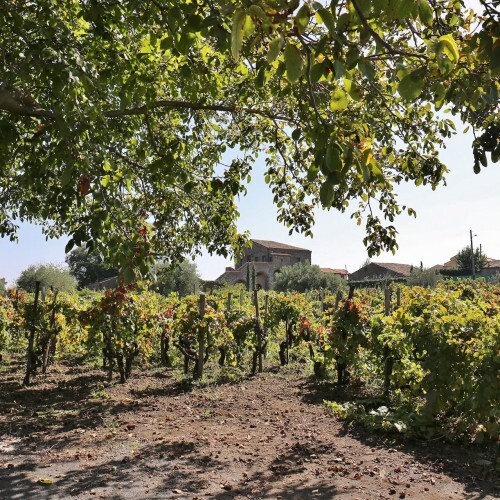 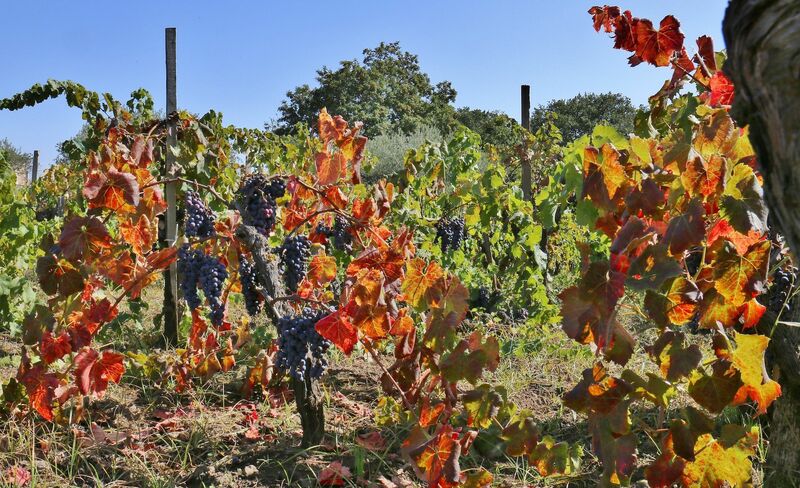 The close relationship created throughout the years between the elements that characterize these territories and the grapes that surround them, has leaded to the creation of a unique terroir for its kind. 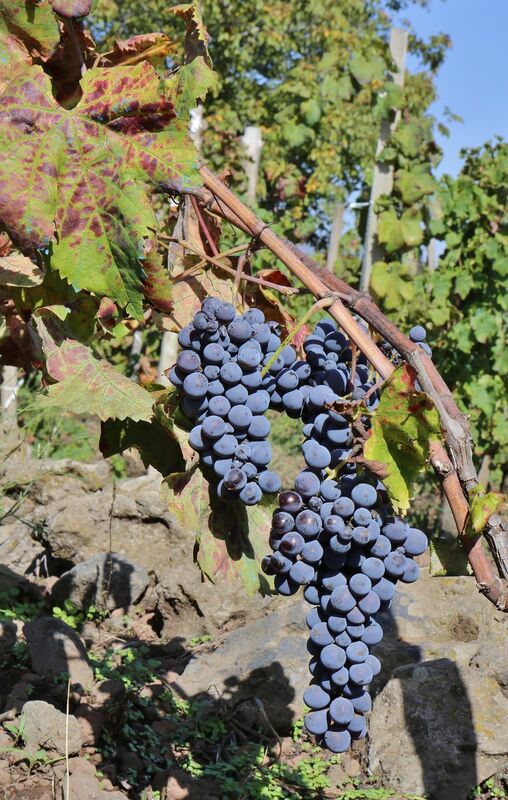 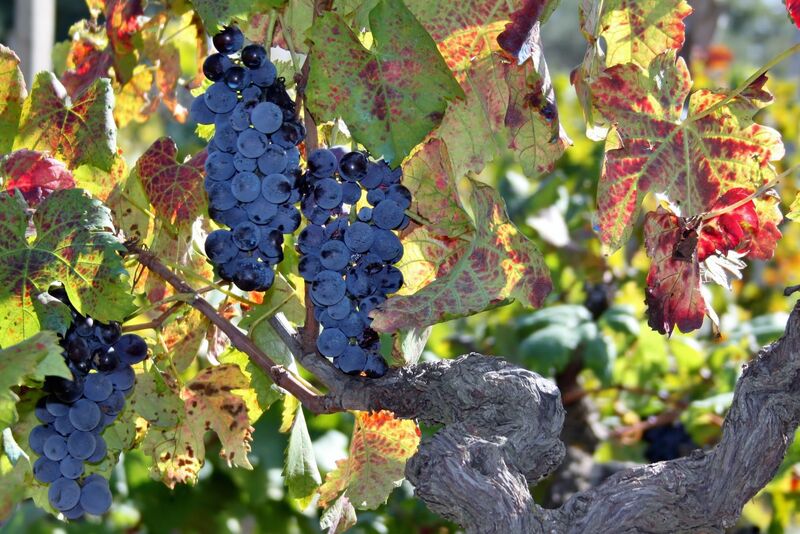 Already during the 16th century, Andrea Bacci, in his “De naturali vinorum historia” (Natural Wine Story), refers to the characteristics of the Etna vineyards and how these are correlated to the volcanic territory that helps the emergence of the vines. 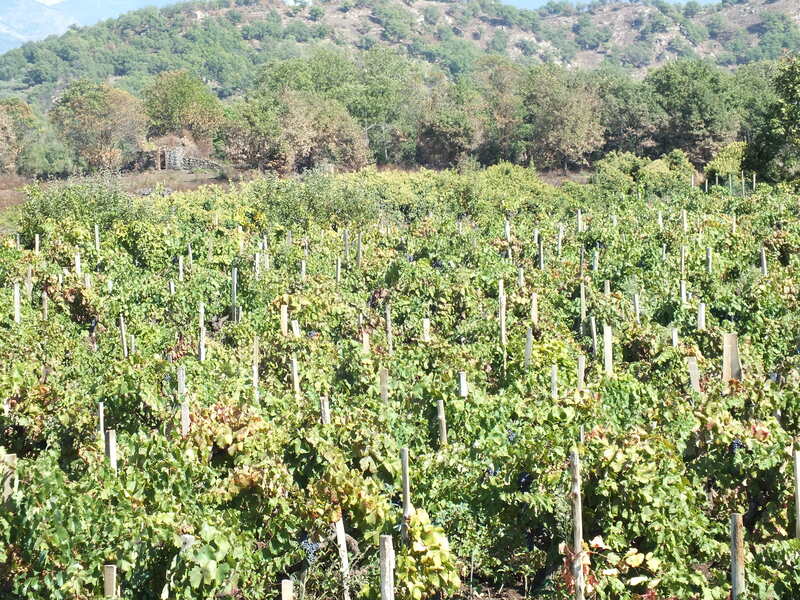 He describes a rich and substantially organic land, facing the Ionian Sea from hundreds of metres of altitude. 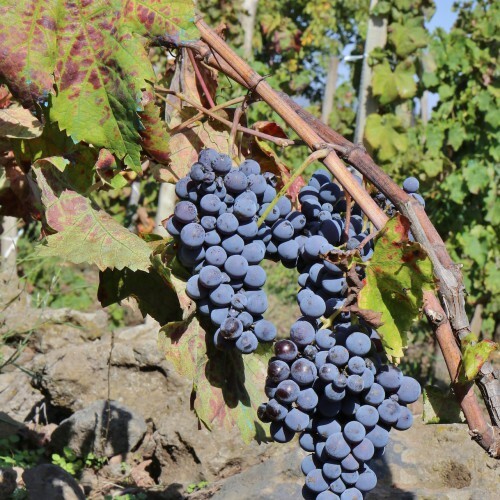 This correlation determines an immense variety of the territory and hence the production of the Etna’s vines in the 106 districts of the Etna D.O.C.. 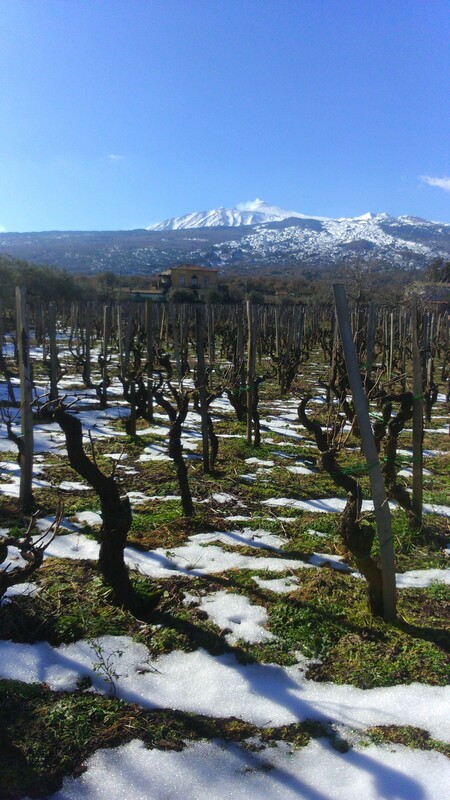 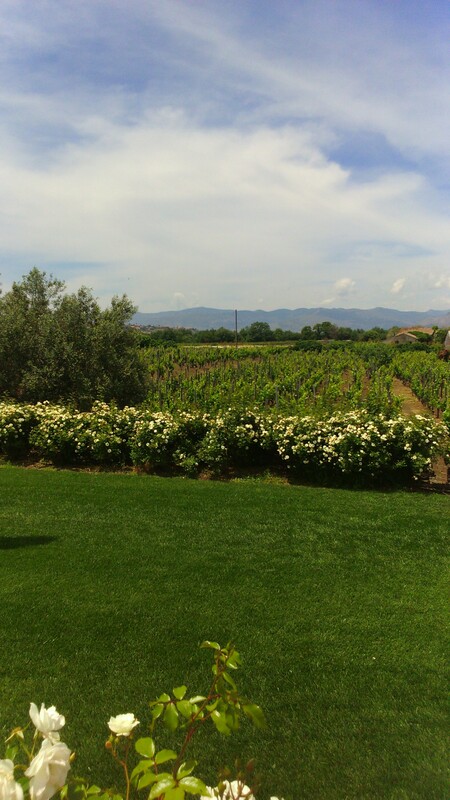 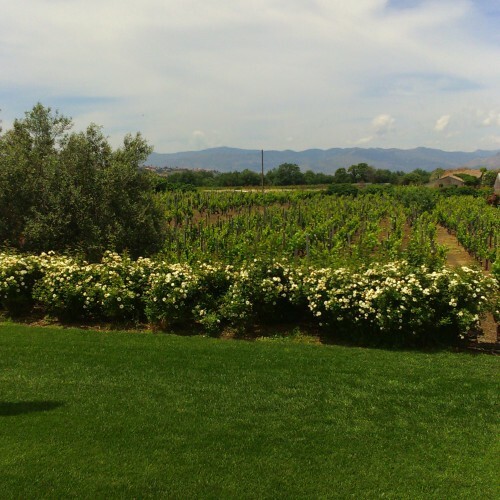 The Etna Mount that became a UNESCO heritage in 2013, is involved to an increasing interest of the wine producers, and becomes a candidate to the list of the most prestigious territories in the world.